The nonprofit group One Laptop Per Child wants to produce a touchscreen tablet computer by 2012 that will cost less than $100. OLPC released its device roadmap this week, which includes two upgrades to the original XO computer, as well as lofty plans for a new 8.5-by-11-inch tablet device called the XO-3. The design for the XO-3 is ambitious. The tablet would be about 0.24-inch thick (half the thickness of the iPhone), with an 8.5-by-11-inch screen, a virtual keyboard, no buttons at all, and a folding ring for easy carrying. 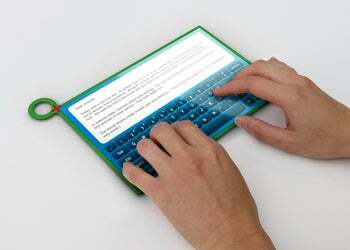 It would be made entirely of plastic, and is designed to be durable and waterproof. The device would use Palm Pre-style induction charging, so it would use less than a Watt of power, according to Forbes. There's no word on software, but the XO-3 would have an 8-GHz processor. As if those specs weren't enough of a lofty goal, OLPC's founder Nicholas Negroponte told Forbes the XO-3's "less than $100" target price would be $75--the same number OLPC wanted to hit with its earlier two-screen tablet concept called the XO-2, which has now been scrapped in favor of the XO-3. 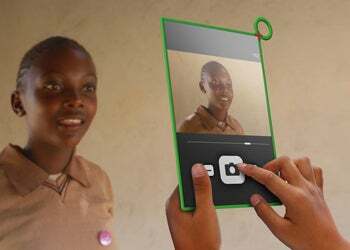 OLPC hopes it won't have to develop the XO-3 alone, and that computer manufacturers will take the lead in developing the device. 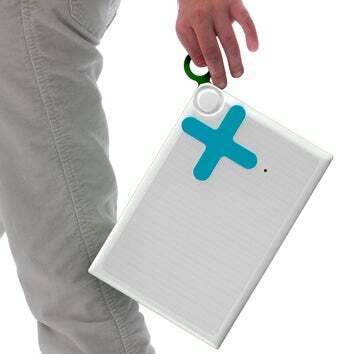 To that end, OLPC will work on the XO-3 as an open platform that any manufacturer can take over, according to Forbes. Still, the hardest part for the XO-3 may not be its lofty specs, but its $75 price tag. The original XO fell far short of its $100 price point at $199, and that was for a mere rethinking of existing laptop designs and components. The XO-3, by comparison, would have a more powerful processor than most laptops available today (assuming the 8-GHz spec is not a typo), require significantly less power consumption and use many technologies that are still prohibitively expensive. Take, for example, Plastic Logic's Que e-reader, which is a real device that has similar hardware specs as the XO-3 concept. 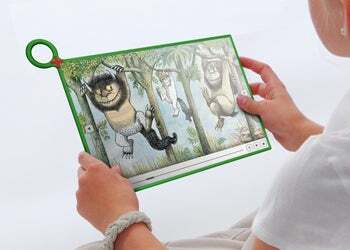 However, Plastic Logic has been reluctant to reveal the price for the Que, but it's become clear the all-plastic, super-thin e-reader will not be cheap. Then there's the JooJoo aka CrunchPad tablet, which was planned on hitting a $200 price tag, and is now selling for $500. The XO-3 sounds like a great idea, but it's doubtful OLPC will be able to make its dreams a reality by 2012. But the group doesn't necessarily have to get all the way to its goal. Negroponte told Forbes if OLPC only achieves half of the XO-3 concept, the resulting device could be a game changer with far reaching consequences. XO 1.5 - The XO 1.5 is the same industrial design as the XO 1.0. Based on a VIA processor (replacing AMD), it will provide 2x the speed, 4x DRAM memory and 4x FLASH memory. It will run both the Linux and Windows operating systems. XO 1.5 will be available in January 2010 at about $200 per unit. XO 1.75 - The XO 1.75, to be available in early 2011, will be essentially the same industrial design but rubber-bumpered on the outside and in the inside will be an 8.9", touch-sensitive display. The XO 1.75 will be based on an ARM processor from Marvell that will enable 2x the speed at 1/4 the power and is targeted at $150 or less.